What makes a wrist watch tick? 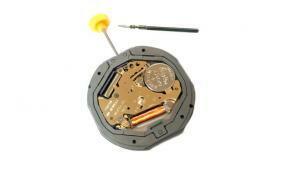 On the market today there are three basic watch movements: hand-wound, automatic, and quartz. 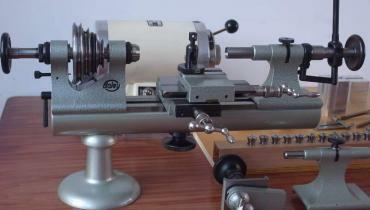 Hand-winding and automatic are jointly referred to as mechanical. It is important to know which is which, as a hand-wound watch will not start when shaken, but most good automatics will start when wound. 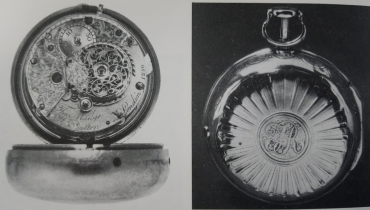 The hand-wound wristwatch is, of course, the direct descendant of the key-wound pocket watch which, in the course of its natural evolution, acquired a winding knob or, as it is more properly known, a crown and stem. The automatic movement has quite a long history, too: it was first recorded in 1770, and in 1780 the pedometer movement was first mentioned. A watch with an automatic movement is wound when the wearer’s movement causes a weighted segment or rotor to pivot on itself. It was a Englishman, John Harwood, who was responsible for the first automatic wrist watch. He began experimenting in London in 1917 and applied for a Swiss patent in 1923. The wrist watch he perfected was unusual even by today’s standarts: as it did not have a crown, it could be set only by turning the bezel (the metal frame holding the watch glass), and it had to be shaken to be wound. Prior to this, all wrist watches were hand-wound. Harwood wrist watches were manufactured in Switzerland until the early 1930s, when the company went bankrupt. The advent of miniature batteries for hearing aids in the 1950s inspired a French company, LIP, and an American manufacturer, Hamilton, to join forces for research purposes, and as a result of their efforts, the first electric wrist watches were made available in 1957. These models were large, ugly, and not very popular – with one exception, which was to prove a commercial success, the Accutron. 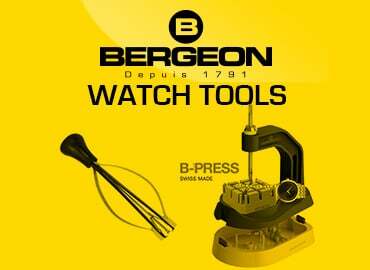 Created by a Swiss electronics engineer and with an accuracy of 99.9977 percent, it was issued with the first-ever guarantee of accuracy for a wrist watch by its manufacturer, Bulova. However, before Bulova was able to elaborate on the idea of the Accutron, the public’s interest waned, and the concept of the electromechanical wrist watch was abandoned, having filled the gap between the mechanicals and the revolutionary quartz movement. Quartz clocks had been in existence for some time before quartz watches. In the 1960s, thanks to miniaturization, electronics engineers in both Japan and Switzerland were working toward the first quartz wrist watch, and finally in 1968, both countries had prototypes. These, when submitted to rigorous laboratory testing, proved to have a remarkably small margin of error: only two seconds per day. Unfortunately, as with their predecessor, the electromechanical wrist watch, they were ugly to look at and clumsy in design. It now seemed to the manufacturers that the rational method of telling the time with a dial and hands should be superseded by something more in keeping with the watch’s revolutionary movement. Liquid crystal displays (LCDs) and light-emitting diodes (LEDs) were extensively used. It soon became apparent that both these methods had a number of disadvantages linked to the display, not least the esthetic limitation imposed by their specifications. This, plus the fact that these watches could be produced very cheaply in the Pacific Basin, soon moved LCD and LED production out of the traditional watchmaking areas, and the end product was not deemed by jewelry and watch retailers to be high enough in quality. The Swiss watch houses went back to the centuries-old tradition of dia-and-hand display. These, coupled with quartz technology, can account for some of the most outstanding-looking timepieces of today, whose quality cannot be dismissed, even by purists. It is now possible, thanks to the quartz movement which can be made very small, to produce ultrathin, very elegant wrist watches. These pieces, when fitted with a mechanical movement, were and still are in a price bracket which makes them affordable only by the very wealthiest. 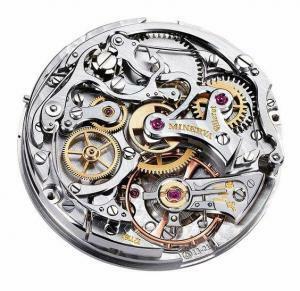 All watch movements work on the same principle. The time divider which divides passing time into equal parts must receive power from a power source. This power must be transmitted from the latter to the former, so there must be a system for power transmission. 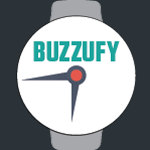 Finally, the watch must show the time after the time divider has completed its task. The time appears either on a dial or on a digital display.